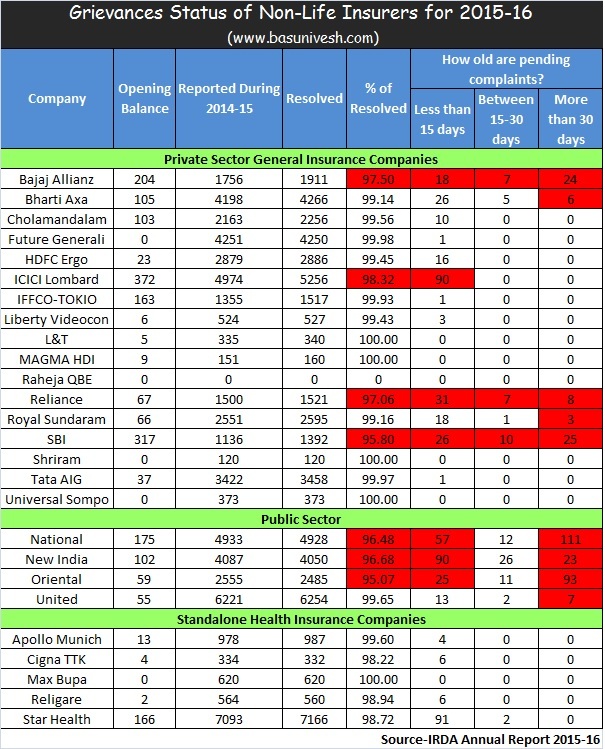 Home > Health Insurance - Claims > FY 2015-16: How efficiently General Insurance Companies handling Grievances of customers? FY 2015-16: How efficiently General Insurance Companies handling Grievances of customers? Above the data related to their finance and how many claims they handled for FY 2015-16. Let us now concentrate on the numbers related to customers grievances. How many insurers resolved and how much pending?